2017 was one of the best years of my life. I didn’t do anything extraordinary, but it was all about spending quality time with family and discovering new friendships. It was also full of surprises, travel, a good life and flourishing. After a terrible couple of years, such a year was like a breath of fresh air in my life. 2017 started with a bang. P successfully executed a plan to surprise me(that is something, you know!) and I spent the New Years at Dehradun and Mussoorie. He took me to the Indian Military Academy where he recalled his days as a Gentleman Cadet, going through strenuous pieces of training. He showed me the first rope he had climbed in the obstacle course, the puddles of muddy water he had to crawl through, the balance, the hang, the jump – all kinds of tactical movement used in combat. We then went to the Queen of Hills, Mussoorie where I met one of my favorite authors – Ruskin Bond and got two of his books autographed. Dad visited us in Jan and P and I made sure that he takes a dip in the holy waters of Ganga at both Haridwar and Rishikesh. Yeah, the ice cold water in the month of January. It was also Dad’s first dine-in experience at Barbeque Nation. We also headed to IMA (again), Forest Research Institute and to New Delhi visiting Qutub Minar and Lotus Temple. I won the BlogRock Awards, was one of the finalists in Orange Flower Awards and was nominated at the IFBA as well. …knowing that he was right next to me, the comfort of his silence, looking at our wedding photographs together, sipping wine, the kisses, the dance in the balcony at midnight chupke se without waking up the neighbors were all the best moments of the day. We also took our first international trip together and that meant me celebrating my birthday lunching at the one and only Grotto,Rayavadee overlooking the pristine white sands of Krabi island. We were drooling over the powdery beaches, limestone cliffs, turquoise water bodies, lush green forest, Buddhist temples, and the food of Thailand. Two weeks went by in a jiffy, ticking off so many things from my bucket list and you know all about that from my April A to Z posts. March saw us unwinding and relaxing at home and celebrating P’s birthday with close friends. April was all about the A to Z Challenge as I recalled every single bit of our Thailand journey through 26 posts. It was also a month of culinary awakening as I attempted to cook 26 delicacies from India, on my food blog. I wouldn’t have dared to cook half of the recipes, including Aloo Paratha, Gulab Jamun, Medu Vada and Samosa, if not for the challenge. My heart fills with joy and gratitude as I say that many bloggers/friends including Parul, Ruchi and Tina had tried my recipes and they had sent me pictures as well. Wowza! May saw us confused and bewildered as our posting came. But that also meant that more traveling was in our cards. My parents and sister visited us this month and we again visited Haridwar and Rishikesh and was fortunate to attend the Ganga Aarti. June was about visiting Dehradun again with the little sister and roaming around like little kids at the Malsi Deer Park. After P’s exams, we headed to Rishikesh again and that was when I had a soulsearching experience as P went about with his work. I also started writing for one of my favorite Blogging communities – the Write Tribe. I’m so glad that I got this opportunity. Back home we began packing our home into boxes to head to the next station. ..and we went on a tiring, but an adventurous road trip in July to Chota Kailash – Pithoragarh. While I reveled in what nature had to offer in this stunning place, I gasped in horror when I found the state of my windowless kitchen in our new accommodation. Perks of being an Army Wife! But I couldn’t brood over it for more than a couple of days as I realized the nature of his work. Heavy rains were in store for us in August and that meant getting a call at 2 am and husband gearing up for a rescue mission. Rains and hills don’t gel well together! The roads were blocked due to heavy landslides and the fog, rainfed muddy waters, humongous rocks falling from the hill right in front of the vehicles weren’t helping as well. And as much as I would like to hold my tears back, put on a brave face or smile warmly to his subordinates who comes in with a cup of coffee every now and then, just to check up on me, I tried my best not to let loneliness and fear set in and bother. September saw my blogs celebrating their fourth and third anniversary. I cooked up a storm at Something’s Cooking from Falafels to Corn Cheese Croquettes, to Coffee Spiced Chicken. We also went back to Roorkee, because yes! P had secured the Gold Medal from the IIT. His Dad visited us and of course, we had to head to Haridwar and Rishikesh again to offer thanks to Ganga Maiya. October and November saw me running around the house with my furbabies – Simba was like my baby. Oh! I’m missing this idiot! It was also kind of a wake-up call when I found that I was sick. But yeah, that meant taking some life-altering decisions. My sister got engaged, and I packed my bags to attend BNLF by Indiblogger. I met some of my favorite bloggers, made new friendships and came back home to Pithoragarh to brave the cold. Yup, it is about 3 to 4 degrees here, but I find myself having fun this winter. Though I am lethargic most of the time (now you know why I don’t blog often), I love winters because the local market is always brimming with fresh greens. I am cooking some healthy recipes and I am sorta becoming a vegetarian. Na, not happening! 🙂 P gave me the shock of my life when he said we can meet the Bollywood stars – Arjun Kapoor and Parineeti Chopra who was here for their movie shoot. He gave me 15 minutes to get ready. Phew! Men, I tell you. We celebrated Christmas and I was on cloud nine when I laid out the Christmas feast. I made chocolate cupcakes out of nothing, on a steamer (because I couldn’t even get Cocoa powder or vanilla essence here!). P is kinda sad that we cannot spend our New Years at any place exotic. But I’m just glad that we are already in a beautiful region, far from the maddening crowd, with a view to die for and can spend our days wrapped in each other’s arms. So that’s it. How was 2017 for you? I am so grateful for this year because it was simply amazing! All thanks to friends and family! I am looking forward to 2018 with a grateful heart! I am linking up with Sanch and Corinne for Friday Reflections. This is one of my favorite weekly prompt and the prompt for this week is Looking back on 2017. Oh! this 2018, I am hosting it on my blog with Corinne. Hope you’ll join us. As usual, all you’ve to do is write on any of the given prompts of the week, link your post and spread the love by visiting other bloggers. More details, soon. Gratitude 2017 at Shailaja and Chatty Blogs at Shantala. I am in the midst of doing the rounds of Vidya Sury’s blog hop … and landed on your precious gem of a site. You know your Ying is my Yang! What I mean by that is that you had a great year and I well had an absolutely horrible year, hahaha … but have managed to come through it alive. I did check out your Awards and Accolades page. You’ve racked up some pretty impressive victories! And by the way, you really must visit the Taj Mahal and knock it off your bucket list. I was there a long time ago in 1986 on our family trip back home to my parents birthplace, Goa. Obviously took some great pics and have some amazing memories. The carvings and colors in it are truly amazing and incredible. It’s a must do ! Anyway just wanted to say hello. Such a warm and happy year, Shalini. Full of love. Touchwood! I loved reading about your 2017. I have read many posts here and followed you on IG so not that everything was new but the love I can see here makes me so happy for you. I am very happy that you could move in with P and life has been good. So grateful to P for all he does to keep India safe. The rains and rescue efforts he was a part of – hats off! oh yes! thank you for the mention. Rachna and you are two food bloggers, whose recipe I try 🙂 <3 Take care and hugs! Great post, full of energy and enthusiasm, wishing you a wonderful year 2018! 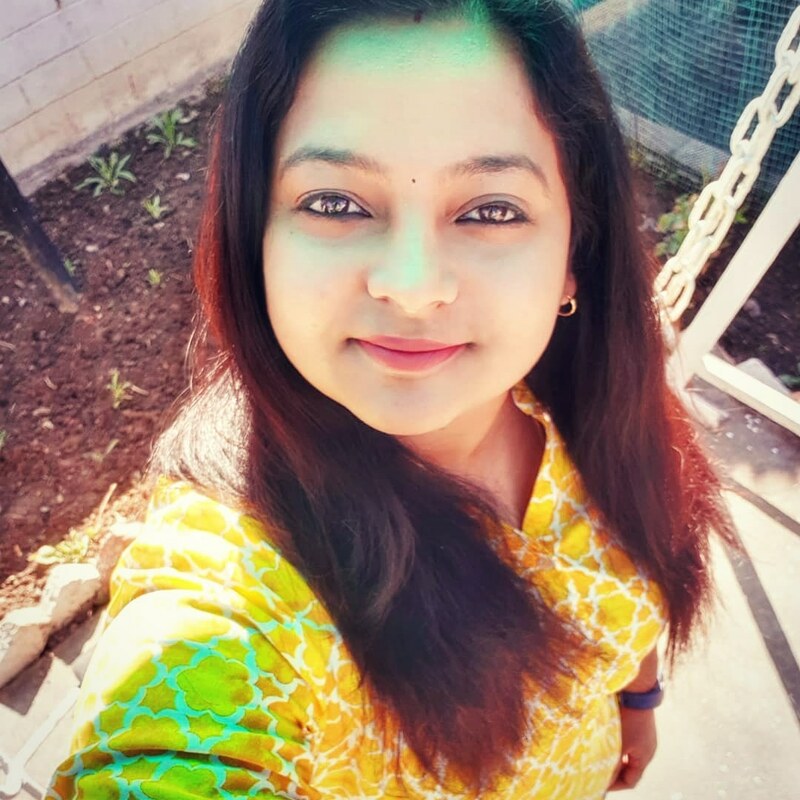 This post – so many great things – I am glad you had such a wonderful year, Shalini. Wishing you an even better 2018. Hugs. Beautiful memories. You can turn the darkest of days into fun with your sunny disposition. I’m grateful that you were a large part of my 2017. Thank you for all you mean to me! May 2018 be your best year yet! Love to you and P from us! Bless bless bless Shalzzz. May 2018 be spectacularly supreme and divine. I’m so happy for your 3017. You deserve the best always. It’s always a pleasant to read your blogs. 2017 was amazing for me also and you are one of the reason for it. You have inspired me to write. Thank you so much for being there. Wishing you a very Happy New Year in advance. Loved your review of the year going by, Shalini. I am sure in the new year, you will continue to take things in your stride, be the bubbly and positive person that you are and continue to dish out more yummy delights! Best wishes for the year ahead. Have a great 2018! Love your Simba. he is cutieeee!! A kitchen without a window? Whoa! But, it’s so brave of you to take everything in your stride, Shalini! Loved your post – full of mushy moments and heartwarming tales! May the new year bring loads of joy and peace in your life! Stay blessed, dear friend! It is great to relive the year like this. Shalini, I remember your A to Z posts that took us on a Thailand trip right from our laptop screen. I am glad that you had a fun year and unforgettable year. Here’s to an even more fabulous 2018. Great eventful year for sure. Wish you even more fabulous 2018 Shalini! It was lovely to read your recap of 2017. Glad to hear it was a good year for you! I hope 2018 is just as wonderful! Oh and NYE celebrations are a bit over-rated…I’d take quiet time any day. Oh and I meant to say, I’m sure you’ll be wonderful co-hosting this link up! A brilliant 2017 … yayyyyyyy…. And heres wishing 2018 brings more happiness ..